PokéMonday: Once you pop, the fun don’t stop. Today on PokéMonday. We’re taking a look at Booster Packs. More specifically how to properly* open them for the most suspense. Let’s start with opening the pack. So when you open your pack, you’re going to get your 10 cards as well as a Pokémon Trading Card Game Online code card for a digital booster pack from the same set. Here are the Cards from a pack that was just opened. So in order to have the Rare be the last card. we are going to need to do some re-ordering. So to do that we’re going to need to shift the last 3 cards when opening a pack. So the last 3 Cards above are the uncommons. So by shifting them 2 cards down. We can confirm the the Rares will be at the back. And there we have it. Got a Serperior, not a Shiny card but useful overall. So now that you know how to open your packs. Come down to Games@PI and get yourselves a booster and try it out. Now starting with today’s PokéMonday. I’m going to try to include some of the interesting Pulls over the week. So let’s have a closer look at the Serperior pulled from the pack in the article. Firstly the artwork shows the regality of Serperior against a calming backdrop. Next, when we take a look at Serperior’s attack, you can see that this Serperior is really energy efficient for its damage output. Requiring only a single Grass Energy to use both attacks. Coil is a really useful attack, even though it does a printed 40 Damage. It’s ability to add an additional 60 damage to the opponent’s Active Pokémon, makes it able to consistently pump out a massive 100 Damage from the second attack onward. Now with Slashing Strike, it does have the penalty on not being able to use the attack twice in a row. The possibility to do 140 Damage for a single Grass Energy which would take down most opposing Pokémon, even though it does take a turn before to charge up with Coil. 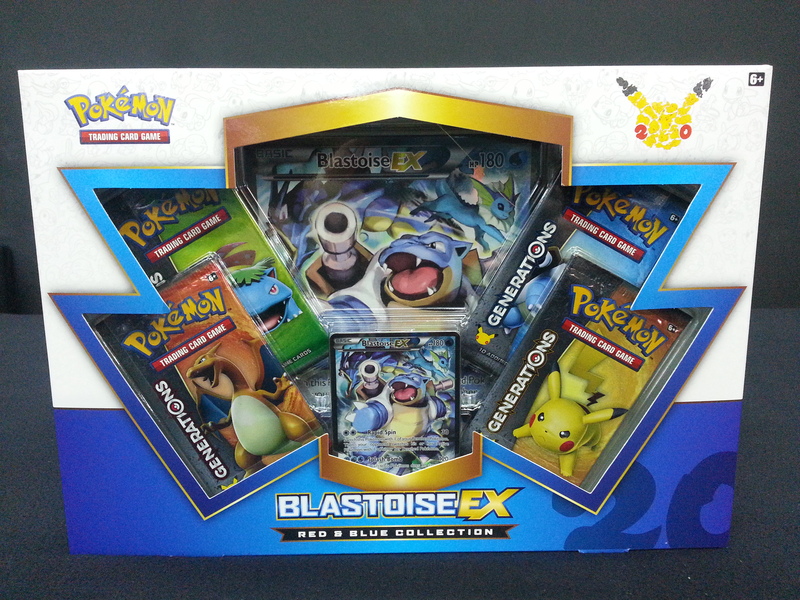 Today on PokéMonday, we’ll be looking at the newly released Blastoise EX 20th Anniversary Collection. Kenneth, PI Manager here. So far, I’ve successfully managed to avoid getting dragged into a Team Ironman vs Team Cap argument so far. With Marvel Munchkin and Marvel Legendary: Captain America, however, it looks like I may not have a choice. Which is why I’m planning to spend the weekend hiding in Westeros. It’s probably safer, barring the occasional beheading. The Games @ PI staff will be cracking out Steve Jackson’s classic card game Munchkin on Wednesday, 18th May 2016. For the uninitiated, Munchkin is a satirical card game parodying the structure of an adventure game. If you’ve never played Munchkin, now is as good a time as any to try out the game, so come on down and play a round or two with the Games @ PI staff. We’ll also be handing out a limited edition Munchkin promotional cards to each participant, so come down to Games @ PI and play this award winning game with our friendly staff. Munchkin is the mega-hit card game about dungeon adventure . . . with none of that stupid roleplaying stuff. You and your friends compete to kill monsters and grab magic items. Go down in the dungeon. Kill everything you meet. Backstab your friends and steal their stuff. Grab the treasure and run.